The North Luangwa National Park in Zambia covers almost 5000 sq km of pristine African wilderness, located in the northern region of the Luangwa Valley. 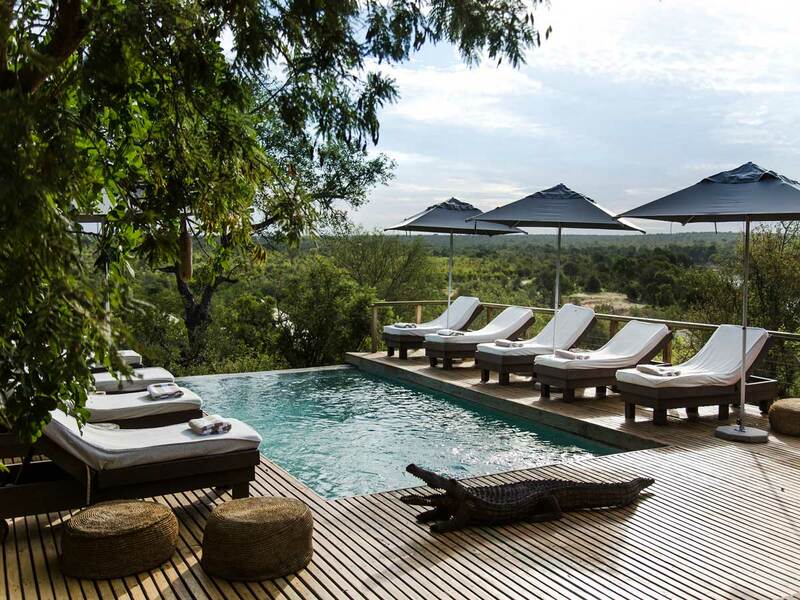 The Luangwa Valley in Zambia is beautiful and remote and known as one of the few true wild destinations in Africa. 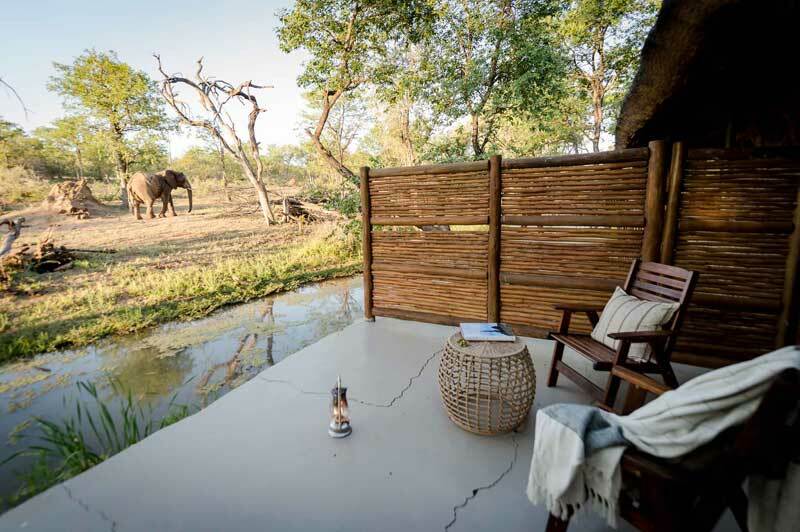 The North Luangwa National Park offers privacy and exclusivity with limited access to the public, keeping the park a protected and unspoiled area. It was initially only open to conservationists and researchers, but slowly, a select few walking safaris operators became available. There are very few roads and subsequently very few visitors and motor-operated activities. One of the highlights of North Luangwa National Park is a trip to the Mwaleshi falls on the escarpment. 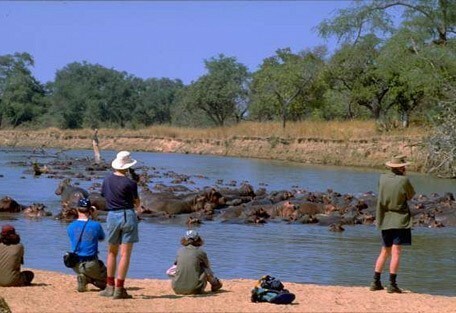 Like the South Luangwa Park, it lies on the western bank of the Luangwa River bordered on the other side by the dramatic Muchinga Escarpment which rises over 1000 meters from the valley floor. 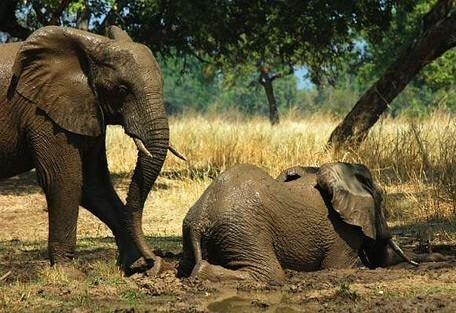 North Luangwa National Park shares a similar landscape to its southern counterpart, and the fauna and flora remains the same; however, the North Luangwa has received less attention by tourists and more by conservationists. There is a variety of rare species that now reside in North Luangwa after a rocky history with poaching (read The Eye of the Elephant by Delia and Mark Owens). Black rhinos were re-introduced in 2003, while prides of lions, herds of buffalo and a plethora of birds add to the variety. The charm of this uncrowded and undiscovered park is that visitors experience the wilderness like unobtrusive onlookers. There are very few roads and no permanent camps, so evidence of humans can be erased in a moment. The Mwaleshi River flows over a series of rapids and tumbles to the valley floor at the beautiful Chomba Waterfall in the heart of North Luangwa. This is where a host of different antelope species are found. Mwaleshi Camp is small and remote and offers guests a traditional, intimate safari experience in the unspoiled North Luangwa National Park. The Park is famous for its large population of lion, huge herds of buffalo and endemic Cookson's Wildebeest. Set on a stunning site on the banks of the Mwaleshi River in the heart of the North Luangwa National Park, Kutandala Camp offers the ultimate safari for those who seek truly remote wilderness. 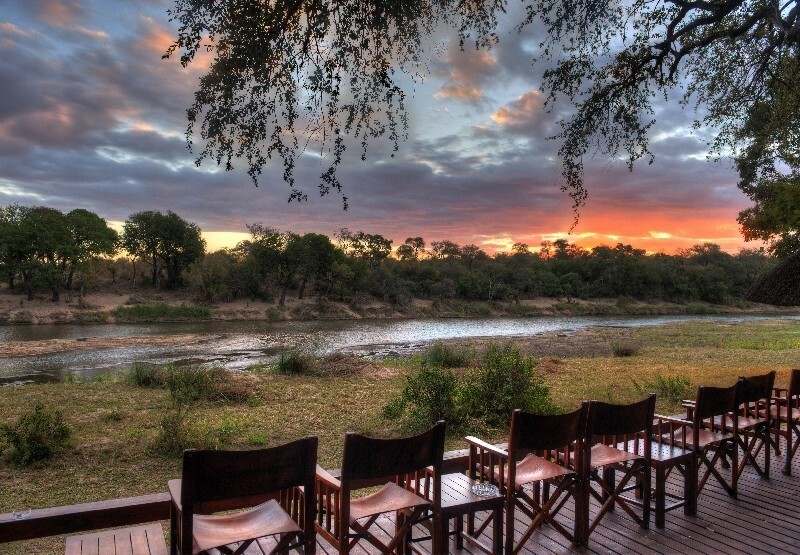 Zambia's smallest owner-operated camp, catering for only six guests on each safari. 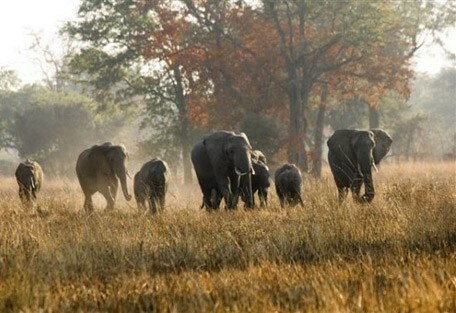 The rich vegetation of North Luangwa National Park offers a large and varied population of herbivores. The park is well known for its enormous herds of buffalo. Other common mammals found in North Luangwa National Park are wildebeest, bushbuck, zebra, warthog, baboon, vervet monkey, puku, impala hartebeest, reedbuck and eland. 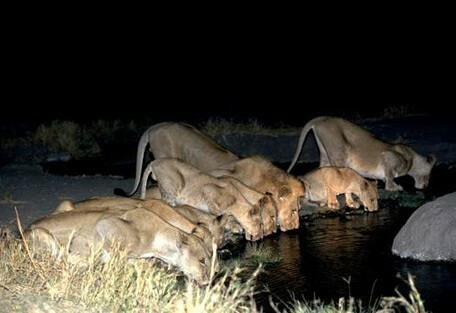 North Luangwa National Park is also well known for its large prides of lion, regarded as the largest in Zambia. Leopard is common and Wild Dog can also be found, however very rarely. Hyenas also frequent the park and elephant and hippo are abundant. North Luangwa National Park is home to two endemic species: Thornicroft's Giraffe and Cookson's Wildebeest. Cheetahs have been recorded however are rare. 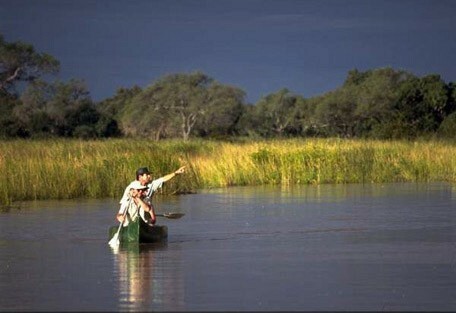 Hippos and crocodiles are frequently seen along the rivers. Over 400 hundred bird species have been recorded in North Luangwa including crowned cranes, purple crested loeries, broad billed roller, Lilian's lovebird, the carmine bee-eater, giant eagle owl and Pel's fishing owl. The climate in North Luangwa remains warm throughout the year, getting very hot and humid in summer, and never dropping below a pleasant coolness in winter. It is recommended to visit between the months of May and October, which is outside of the hottest and wettest months, taking advantage of the period in between the rains. 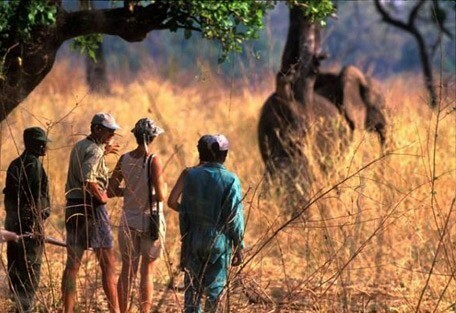 There are no permanent camps located in North Luangwa and it is far less visited than the South Luangwa. Both parks enjoy a portion of the great Luangwa River, while the North park also cradles the Mwaleshi River and the Lufila River. 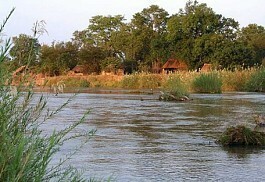 Along the banks of the Mwaleshi River lies a camp delicately nestled amid the bush. Every year, new reed and thatch chalets are built at Mwaleshi Camp - this camp is so light it is perishable! This is intimate and unpretentious, yet comfortable. A true bush experience. 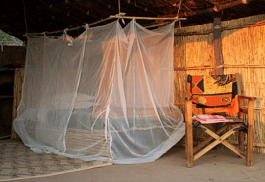 Kutandala Camp has capacity for only six guests at its simple, reed setup. There are flush toilets and hit showers, but there are no driving activities making it entirely unobtrusive. 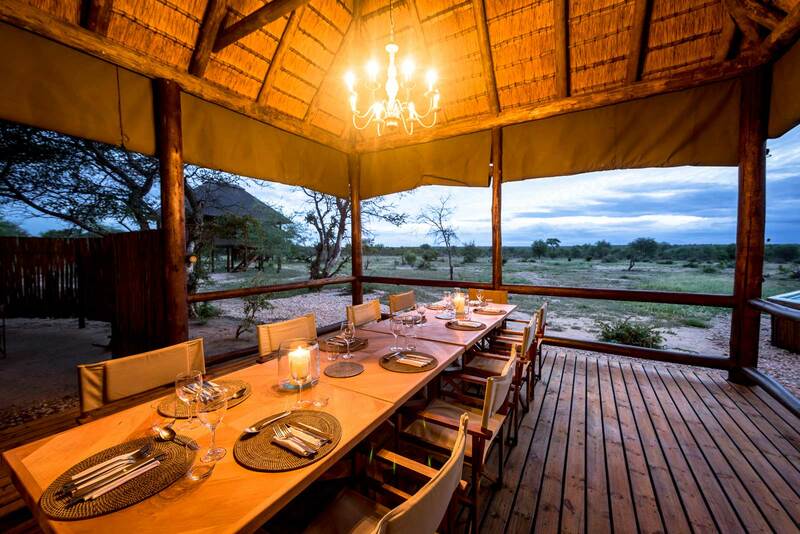 Kutandala is run by the owners who are in charge of all operations from guiding to preparing and cooking delectable cuisine in the open-air kitchen. Guests visiting North Luangwa National Park have the option of a fly-in or drive-in safari. The driving route does involve roughly a 6 hour drive along rocky terrain and might not work for most guests' itineraries. 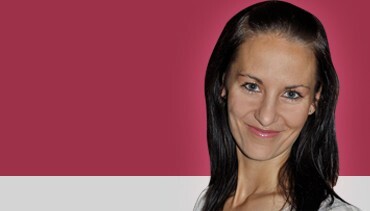 Regardless of transportation method, Sun Safaris will have guests' flights and road transfers booked and arranged. 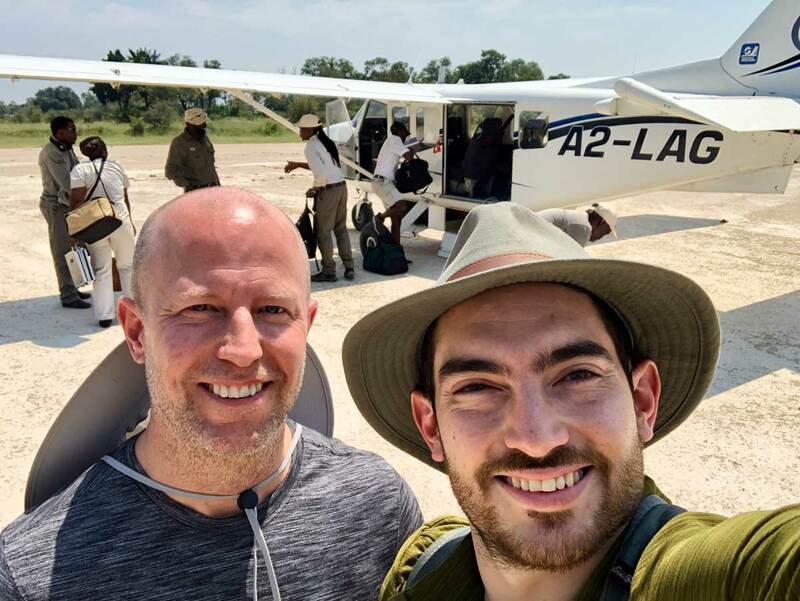 The best way to fly into the North Luangwa is to take a light air transfer from Mfuwe airstrip or Lukuze in the South Luangwa Park. These small airstrips receive regular flights from both Lusaka and Livingstone; however, the very wet season in Zambia cuts down flight schedules significantly. Sun Safaris will fly guests into Zambia at either Livingstone International Airport (located near Victoria Falls) or at Lusaka, and then connect with a flight to Mfuwe airport. From Mfuwe airport, guests will connect with a flight to North Luangwa's airstrip.